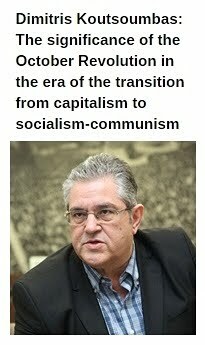 In Defense of Communism: Interview with Kostas Papadakis (KKE): "SYRIZA has been chosen by the bourgeois class to complete the dirty work..."
Interview with Kostas Papadakis (KKE): "SYRIZA has been chosen by the bourgeois class to complete the dirty work..."
Special interview with Kostas Papadakis, member of the CC of the KKE and Member of the European Parliament. International Communist Press, 17th October 2016. ICP: After the 3rd memorandum in Greece, we are all witnessing anti-worker and anti-popular laws passing from the parliament. Is it possible to say that the people are getting more and more politicized and organized as their standard of living has been decreased into half? 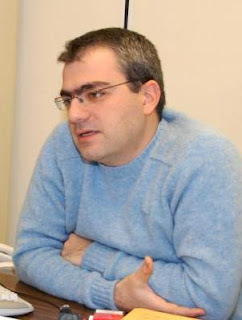 Kostas Papadakis: The SYRIZA-ANEL government established its own memorandum, which was passed together with the votes of the "rightwing" and "centre" bourgeois parties (ND, PASOK, POTAMI), on the basis of the two previous memoranda. The memoranda are not just an agreement with the imperialist institutions, but the "programme" of the bourgeois class in order to return to profitability, reducing labour rights and the price of labour power. The SYRIZA-ANEL government, taking harsh anti-worker measures, causes deep disillusionment amongst wide sections of the people. Amongst those who believed that the memoranda could allegedly be abolished via parliament and referenda. The disillusionment gives way to the people's struggle. In the first 6 months of the 2nd SYRIZA-ANEL government there were 4 mass general strikes, together with other mobilizations of workers, self-employed, scientists and professionals. The poor farmers set up roadblocks at 100 points all over Greece for 40 days. In this period, there are mobilizations every day. But even these struggles do not correspond to the offensive being waged against the people. However, it is not just the mass character of a struggle on its own that is of importance, but also its direction. Mass struggles were waged in previous years; however the demand for one government to leave and for another to take its place was the dominant one. In the end, the new government continued the same political line, sowing disillusionment amongst sections of the people. Today, there must be mass struggles concerning all the problems, which will target the capitalist development path itself, the power of the monopolies, the EU. And these struggles can have the strength, duration, victories and above all prospects. ICP: Do you evaluate a dissolution in the SYRIZA-ANEL government and do you expect early elections? Papadakis: SYRIZA has been chosen by the bourgeois class to complete the dirty work, with the 3rd memorandum, because it can do it better than ND. There are other bourgeois political forces ready to be the "reserve force", in case the governmental majority needs support. Nothing is accidental. The government uses "left" phraseology in order to create a false distinction in relation to the largest opposition party, the "rightwing" ND, which it accuses of being a supporter of neoliberal ideology in order to show that the government allegedly has social sensitivities. This is a tactic to deceive the people, something which is assisted by the other parties and a section of the media that talk about the government having a leftwing profile. Of course, the developments have their own dynamics. If things do not go as they plan, we do not exclude the possibility of a "heroic exit" by the government and the possibility of elections. Such a scenario will depend on the international and European developments and their trajectory. ICP: In order to reach the 'aimed' budget surplus for 2017 big cuts in the pensions and more taxing are evaluated for the coming year. 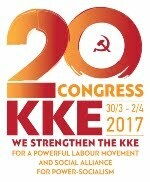 What will be the axis of the struggle of KKE in the near future? Papadakis: The communists struggle inside the trade unions, the associations of poor farmers, the self-employed so that the anti-people measures of the government do not succeed, and for the restoration of the losses the people's income has undergone. We use every possibility. Recently, for example, the KKE tabled a draft law to Parliament for the abolition of the special consumption tax and VAT on heating oil and natural gas for household use. At the same time, our party highlights in a militant way that the needs of the people can be satisfied on the basis of the real productive potential and wealth produced in this country, only if production and the economy are freed from the chains of capitalist ownership. It calls on the people to think: why do we today import milk, animal food, pesticides and medicines, meat, sugar, and other products that can be produced in our country? Why has construction come to a halt when there are some many works that must be carried out-anti-flood, anti-earthquake anti-forest-fire infrastructure-which are urgently needed? 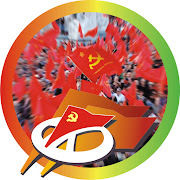 The party highlights the superiority of its proposal regarding social state ownership of the means of production and scientific central planning. 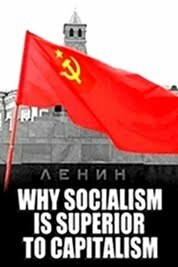 It highlights the superiority of socialism, demonstrating the potential of an economy that will be planned according to social needs, in opposition to today's system that brings crises and austerity to the people and is dominated by capitalist profit. The Greek people, the working class above all, must organize their counterattack and not wait for solutions from above, from the EU and its governments, in order to follow this path. They must organize their struggle to change the correlation of forces inside the labour movement. 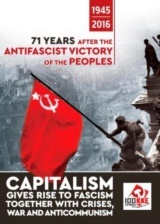 "The CPs of Europe, strengthening the struggle against the imperialist EU, NATO, the USA, must reinforce the independent political role of the communist movement ..."
ICP: Brexit and the financial difficulties of Deutsche Bank are signals of the deepening of the crisis in the European Union imperialism. In this perspective what should be the tasks of the communist and workers' parties in Europe? No imperialist centre will function as the engine of a significant increase of the rate of capitalist growth in the international imperialist system over the next decade. Over-accumulated capital is continuously expanding, i.e. capital that cannot be invested at a satisfactory rate of profit. There is a continuation of the trend for changes in the correlation of forces, with the reduction of the share of the USA and Eurozone in the Gross World Product and the increase of the share of China and other countries. The confrontation between the imperialist centres over the control of markets, energy resources and oil-natural gas transport routes is sharpening in this framework. The struggle between the USA-NATO and Russia is characteristic. Of course, the USA, which maintains the first position in the pyramid of the international imperialist system, is proposing the TTIP with the EU, which will cover 50% of global production today and 30% of world trade. Significant sections of the French and German bourgeois classes are reacting against this, because they understand that the US proposal is a "Trojan Horse" in order to ensure US economic hegemony in Europe. Consequently, the economic war between the USA and Germany, with the emergence of scandals, court verdicts related to "Siemens", VW, Deutsche Bank, Apple. The USA is also playing a leading role in the extension of sanctions against Russia, which do not only negatively affect the bourgeoisie of Russia, but also particular interests of Germany, Italy and France. This framework to a great extent defines the developments in the EU. The EU today remains an advanced form of reactionary alliance between the capitalist states in Europe. However, the common aims of the monopolies, of the bourgeois classes that formed this alliance cannot negate the asymmetrical development of the economies of its member-states. It is in this context that we must evaluate the result of the British referendum, which reflects the existence of sections of capital that desired Brexit. The increasing discontent of the people was trapped in the current of bourgeois euroscepticism. In particular it should be noted that there is an attempt by far-right and fascist forces to utilize this current, which is developing in many EU countries. In these conditions, the governments of France, Italy and Greece are requesting the relaxation of the EU fiscal policy, the increase of state and EU funding for businesses so that they can strengthen their domestic monopoly groups. However, this web of intra-bourgeois contradictions cannot and must not conceal the strategic convergence of all of them against the interests of the working class and popular strata. All of them, despite their various differences, are continuously sacrificing the people's needs in order to buttress the competitiveness and profitability of capital. In these conditions, the communist movement in Europe undertakes serious responsibilities and must struggle so that the workers are not deceived by the new fraudulent promises e.g. of A. Tsipras that the anti-people political line can allegedly change and be reversed by an alliance of the states from the South of the EU or an alliance of European social-democrats. What is required is the ideological-political confrontation against the forces of the "Party of the European Left" (PEL) and the other social-democratic parties that sow similar illusions. This is why the creation and activity of the "European Communist Initiative" is of great significance. 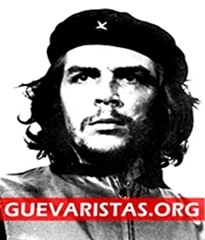 29 CPs participate in it and declare that the EU is a union of capitalist states that cannot be improved and humanized, as capitalism cannot be improved and humanized. 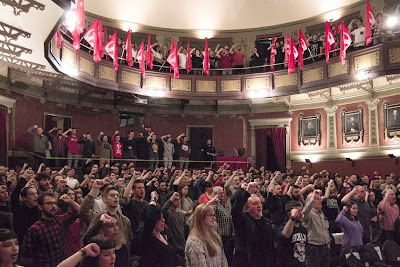 The CPs of Europe, strengthening the struggle against the imperialist EU, NATO, the USA, must reinforce the independent political role of the communist movement so that the peoples do not follow a "false" flag, i.e. a flag of sections of the bourgeois class of their countries or other imperialist centres, with false slogans, like those about the "sovereignty" and "equality" of countries in the framework of capitalism and the EU. In addition, it is very important for the struggle for disengagement from the imperialist unions of the EU and NATO to be connected with the struggle for workers' power, which is the only guarantee that such disengagement will benefit the people. 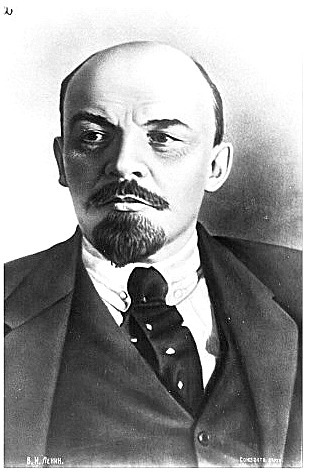 The CPs of Europe, struggling to prevent the even worse measures that are in the pipeline, in order to satisfy the needs of the workers, must come into conflict with the bourgeois and petty bourgeois illusions that there can allegedly be painless solutions for the people, without clashes against our real opponent, without conflict with the power of the monopolies, of capital. 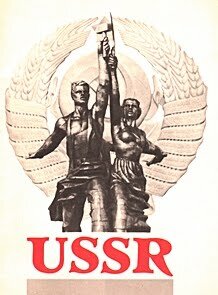 One hundred years after the Great October Socialist Revolution, socialism remains necessary and timely for the peoples, despite the fact that the global correlation of forces has deteriorated. This necessity and timeliness is highlighted by the impasses of the capitalist mode of production, which causes crises, wars, poverty, unemployment, destitution. We can and must organize our counterattack, to change the correlation of forces in favour of the working class and popular strata, to strengthen flashpoints of resistance, to form the preconditions so that ultimately power can change hands.